Stem Cell Therapy for COPD: Can Stem Cells Help COPD? Could Stem Cell Therapy Help Treat COPD? In fact, there are 11 million Americans living with COPD – and that is just the people who have been diagnosed. There are millions more who are living with breathing symptoms but are undiagnosed. COPD is thought to be incurable, can cause disability, and can hasten death. In fact, it is the third leading cause of death in the United States. Fortunately, COPD is treatable. There is a myriad of medications that can improve lung function and breathing, as well as quality of life. But what if there was a treatment that could greatly improve symptoms – and it used your own body tissues? Sounds crazy, right? Enter stem cell therapy for COPD. We’ve all heard of stem cell therapy, even if we don’t know much about it. Over the past couple of decades, it has become a highly debated topic, but it is also highly researched – stem cells seem to be a versatile treatment for many different medical conditions. Stem cells are the cells that our specialized cells are “born.” In a laboratory, we can manipulate stem cells to divide and create more stem cells; these cells are called daughter cells. Stem cells have been used in treatments for many years – the practice of bone marrow transplants for diseases such as leukemia and multiple myeloma benefit from this type of treatment. How Can Stem Cell Therapy Benefit COPD? In yet another study performed by the Lung Institute, approximately 100 patients received autologous stem cells. This means that stem cells were harvested from fat cells, peripheral blood, or bone marrow. After the cells were concentrated, they were re-administered into the body. Prior to the study, all patients underwent pulmonary function testing, a Quality of Life Survey (QLS), and Quality Improvement Score (QIS). The surveys were also evaluated at 3 months and 6 months. At the completion, patients averaged an increase in 35.5 percent in QLS scores, while the QIS improved upwards of 84 percent. In addition, pulmonary function test scores increased from 10 to 16 percent. Is stem cell therapy for everyone? 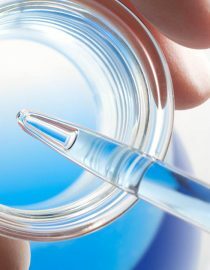 At this time, little is known about the risks of stem cell therapy. Although we have research, it is limited. Researchers are also quick to point out that we need further evidence to support stem cell therapy, as well as studies that evaluate the long-term effects of stem cell therapy. It is also important to note that the Food and Drug Administration recently issued draft guidelines that state that stem cells are considered drugs; as such, they should be reviewed rigorously before being used with patients. As stem cell therapy is considered an experimental therapy and is still being researched, it is a self-funded treatment. This means that it is generally not covered as a benefit under most insurance plans. There are many treatments for COPD – and stem cell therapy may soon be a viable option for many people. What is COPD? At a very basic level, COPD is a group of several progressive lung disorders that occur simultaneously causing breathing problems.